Deciduous forests (oak, hickory, sassafras, basswood, beech, maple). 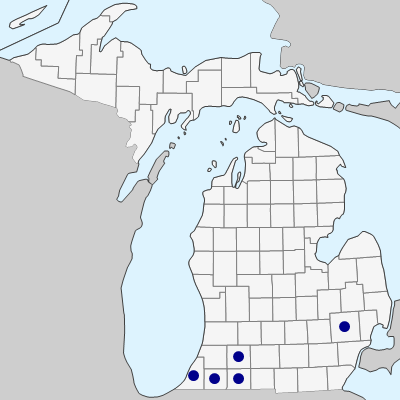 Plants from southwestern Michigan and northern Indiana are disjunct from the rest of the more southern range. Our plants have straight spreading hairs on the stem and are thus var. hirsuta (Short) Fernald. The protuberance on the calyx is particularly large in this species. MICHIGAN FLORA ONLINE. A. A. Reznicek, E. G. Voss, & B. S. Walters. February 2011. University of Michigan. Web. 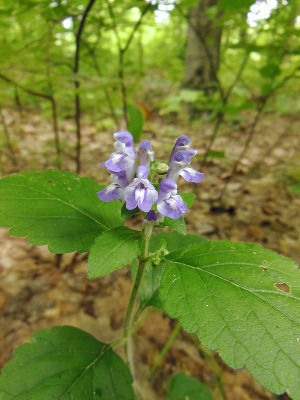 April 24, 2019. https://michiganflora.net/species.aspx?id=1593.